If this was a podcast episode we’d definitely start it with aviators on and some Kenny Loggins playing, but for now just try and imagine it. Or if you can’t imagine it, here’s Tom Cruise to help you. Anyway, this is actually no laughing matter. It’s genuinely a place where we don’t want to be if we’re a singer. Especially one who relies on singing for their income. 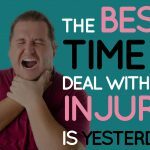 We may actually find ourselves here at some point during our career though, so hopefully this article can help you make the decision that dodges a vocal injury. The scenario – who’s at risk? Scenario 1 – you’re an amateur rock singer on the weekend with a regular job during the week. Your musical colleagues might describe you as someone with ‘cracking pipes’ or ‘a right belter’ because you really give those songs 110% every Friday and Saturday night. You’ve taken a few voice lessons here and there, but generally you don’t think about or practice technique much at all. Your voice is a little rough after the weekend, but it returns back to normal after a day, or two… or three. You quite like a drink and a chat after each show. You’ve been feeling a little ‘coldy’ over the last 24hrs and you’ve got a gig tomorrow. Scenario 2 – you’re a professional singer with around 3 to 4 gigs per week. They are a challenge, but you’ve got it mostly covered because you’ve been taking lessons for years and know how to warm up and save your voice on those bad nights. You suffer from reflux because your diet might not be up to scratch. To make some extra cash you’ve taken a job as a singing teacher for children and you start on Monday. I’ve made those up admittedly, but there will still be a lot of singers who relate to their scenarios because they are very common. Hell, they are even scenarios I have been in myself. However, both of these singers are in what we call ‘The Danger Zone’. For scenario 1, we all know someone who cracks it out every weekend in a pub with rubbish sound. I’ve been in bands with those people. They are usually a bit rough after a night or two but then they recover. 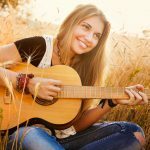 In singing, reduced vocal load (amount of voice use essentially) can forgive holes in technique because you get plenty of time to recover from it between gigs, speaking from experience. You could go on like this for eternity, and many casual singers do without too much issue. The singer in scenario 2 may not be able to approach their voice in the same way because there’s less time to recover and more gigs each week, i.e. 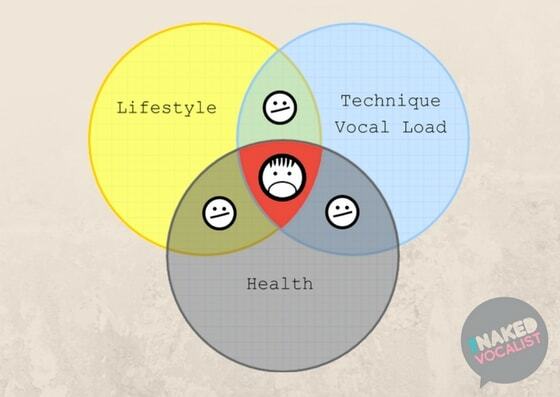 a higher vocal load. And her load is about to increase with her new appointment, which is a red flag. Technique for this singer would be a huge cushion to offset a vocal injury. It’s quite possible that, with nothing else changing, they could keep their current approach to singing and vocal load and be fine. Not a vocal injury in sight. However, life isn’t always that forgiving. Especially a social life. Scenario 1 loves a drink and a chat, both of which are likely to have negative effects on vocal health because they encourage even more vocal load. That singer could already have an approach that tires them out enough to require several days recovery. If we put a rum-fuelled evening laughing loudly in a noisy bar with a cheeky fag half way through then we’re overlapping several damaging areas. The likelihood of your voice being ‘goosed’ the next day goes up. Let’s say scenario 1 can just about squeeze out those high notes with a hangover each week. It’s not ideal, but it still just about works (honestly, the amount of personal experience in here is embarrassing). What happens if that cold develops? If you’re used to late nights and alcohol then you might not have the immune system to fend off the inevitable inflammation. This would leave us at very high risk of a vocal injury again, and that means an upgrade from a disgruntled face to a very, VERY sad one (see below). Scenario 2 is usually forced into a more careful approach to singing because of the professional nature of their career, but they are about to experience the world of controlling children on top of their singing career. That’s much more vocal load and can easily cause a vocal injury all by itself. However, the straw that could break the camels back here is reflux. If we’re dicing with overloading the voice from both the gigs and the kids, the inflammation caused by reflux a few times per week is leaving this singer in the danger zone. There’ll be tears before sunset. What can I do about about it? This could be a long paragraph, but I’ll hold back. Technique of some kind is crucial. Even if it’s just a few well placed pointers from a vocal coach. Trained singers can create powerful sounds with a lot less lung pressure and effort which hugely reduces their chances of injury in any situation. Especially if they are overlapping with another issue, like a lifestyle or health issue. 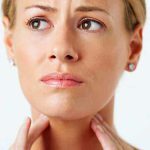 For health, anything that inflames the larynx and vocal folds must be dealt with or rested until gone. Loud singing + inflammation is a fatal pairing, so please drop the gig if you don’t absolutely have to do it. Even though you can reduce your chance of injury with better volume control and technique, you’ll still risk a decline over time if you don’t address the underlying cause of inflammation. If you’re worried about your continued vocal state, a trip to a laryngologist for an exam will hopefully provide a diagnosis and quick treatment. For lifestyle, we have to make choices when we’re pro. We go out less and try to keep our bodies healthy enough to fight infection and inflammation. Smoking is also a big one for lifestyle. Many casual singers are frequently overlapping smoking with vocal overload and illness. That’s a killer combo right there. If you’re overlapping several issues, try not to be all Maverick when making the decision to do a gig and ask yourself: “am I going to tip myself over the edge with this one?”. 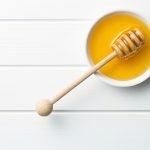 If you feel you’re suffering from any vocal health issues then please do check out this great podcast from Dr. Reena Gupta, who inspired this blog post. That is, along with Top Gun. Alternatively, get in touch with us here and we’d be glad to advise you. The Best Time To Deal With A Vocal Injury Is Yesterday. Vocal Catastrophe Or Just A Phase?